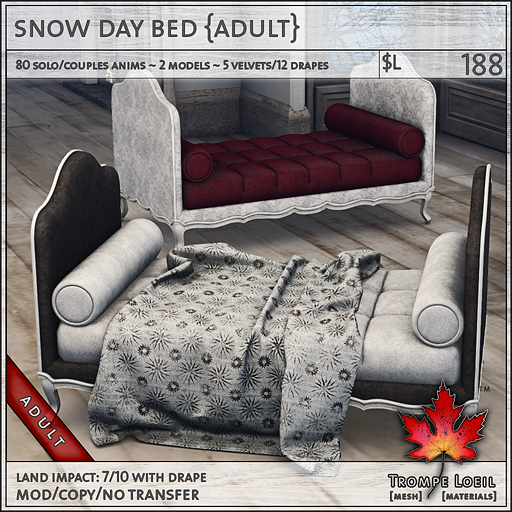 Collabor88 December features a cozy hideaway for those snowy winter days by the window – our new Snow Day Bed includes two models, our AO Map Pack, and tons of animations for singles and couples! 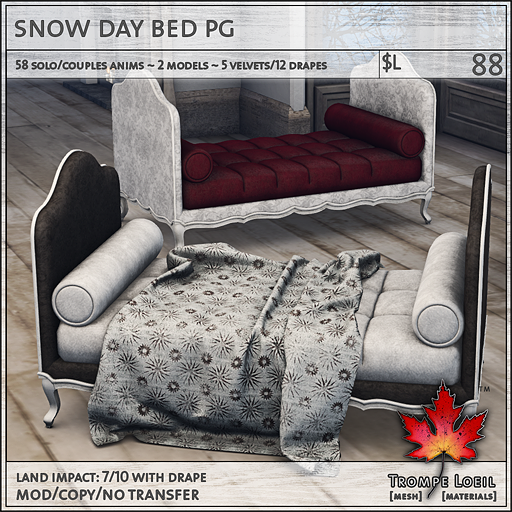 The delicate patterning and tufted cushions make the perfect fireside retreat – and if you’d like a seasonally-patterned blanket to finish the scene, we’ve included that as well! 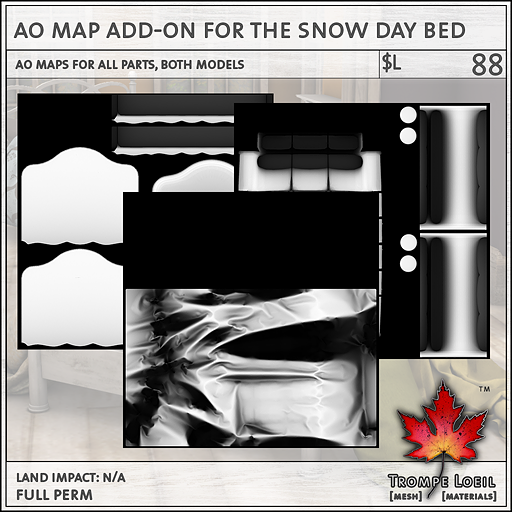 Pick from an assortment of blanket textures and fabric colors, or create your own with our AO Maps Pack (sold separately). PG & Adult maturities offer up to 80 singles and couples animations. Only at Collabor88 for the month of December!